Long time no post! 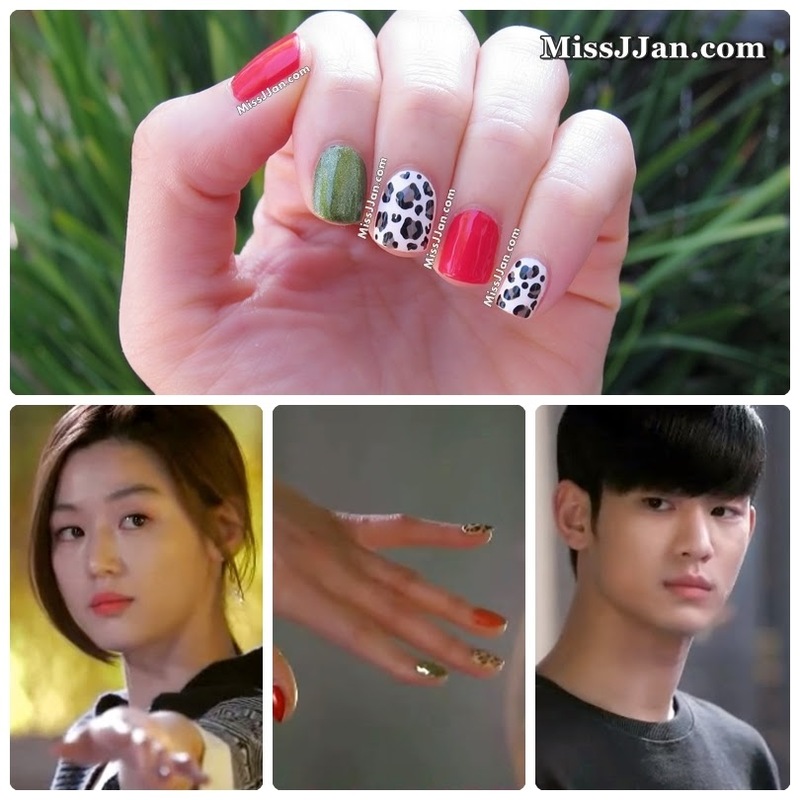 Today I'd like to share with you a nail art inspired by my very obsessed k-drama: My Love From the Star. I have watched it many many times and I think I can still re-watch this drama. 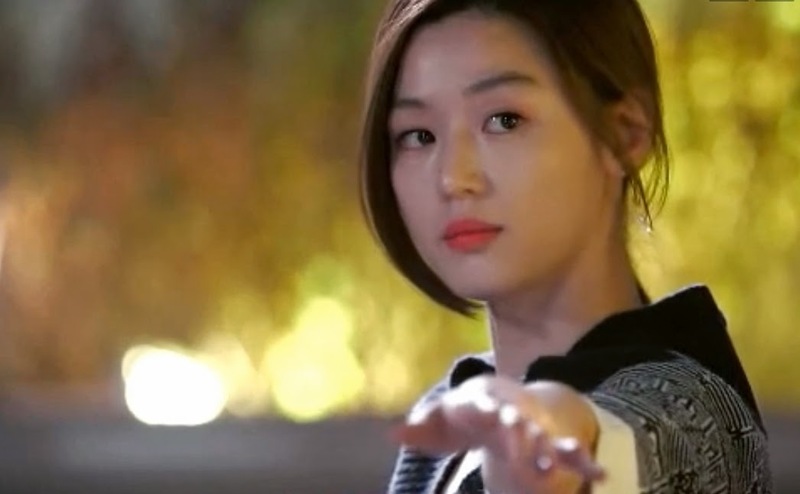 Manager Do Min-Joon and Cheon Song-yi are such a lovely couple and I can never get tired of watching them talking!!! 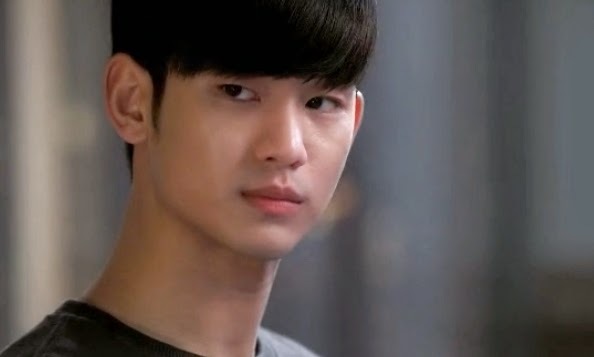 In episode 10, Cheon Song-Yi asked Do Min-Joon's help as her legal representative to sort out things she's never signed with her agency/company. She had her leopard nails painted to show her bossy side, but she's not confident enough to win the argument..... remember this part? ha ha... now on to the nail art, it's a combo of red and leopard with olive green shimmer I think it's super pretty and of course, I wanted to recreate this beautiful look!! !